La Casa Pizzeria, located at 4432 Leavenworth, has been in business since 1953. 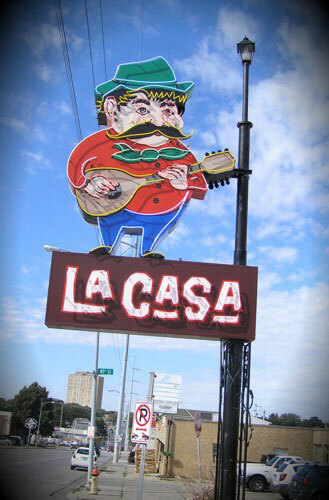 La Casa’s sign, known as Pepé, has become one of the most recognized in Omaha. We removed the sign and carefully transported it to our shop. It was stripped down to bare aluminum, bead blasted, and primed. Then it was hand-painted after researching documentation of the original colors and re-installed.